I used 80gritt wet and dry sandpaper, and sanded the whole wheel down, inside and out. 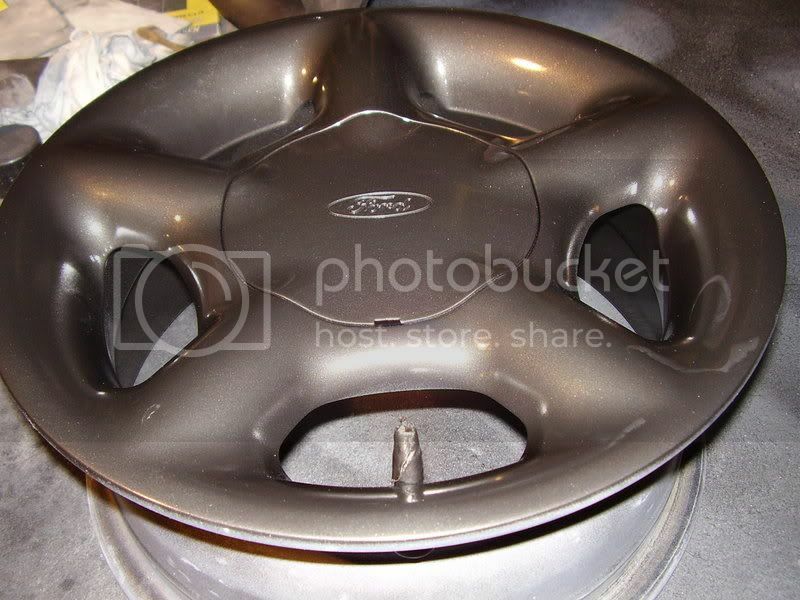 I then used some thinners and cleaned the whole wheel to get all the dirt and dust off the rim, I got he filler and placed it onto the kurbed mark on the rim, let it set and then sand with 300gritt wet paper, do this a few times to get all the imperfections out of the filler and to get the lines of the rim right. You then need to wet sand the whole wheel with anything above 300gritt, and clean off with thinners again to make sure the wheel is clean. 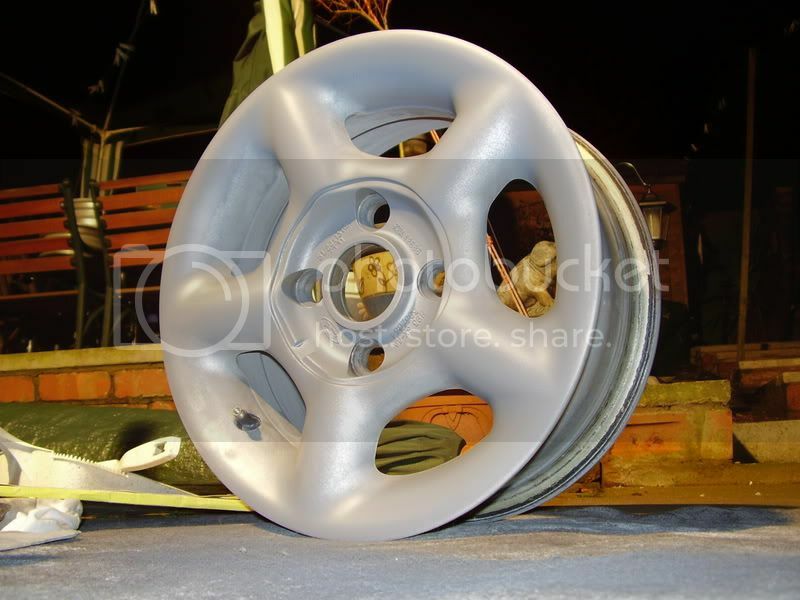 Now its time for some primer, dry your wheel a few light coats of primer, giving 15mins between each coat, and leave to dry, I left mine to dry overnight, then use your 1200gritt sand paper and wet sand the whole wheel untill really smooth. Give it a slight rub down with 1200gritt wet, clean off and five it one last coat of colour, and then leave to dry over night. Then it is time for the laquer, take you time with this as I manged to mess one wheel up by over spraying and causing runs, so spray very thin layers, untill you are happy with the outcome, i have done 2 coats, but i will do another and 2 coats on the inside of the wheel. Nice one, anything you can tell us about now??? Is using filler a good way of sorting kerbed wheels? was alright, there wasnt that much filler to be honest, as i sanded the kurbing down, then fillered just to make it smooth, and has been fine,, the wheels have been dropped onto concrete a fare few times and all has been good. you can always do it with the P40 filler which is metal filler. Might be taking this one soon, but the wheels have some bubbling so not sure what to do. Might just get the pros on the job. My local place does powder coating for £40 per wheel, refitting tyres and balancing in with the cost too. 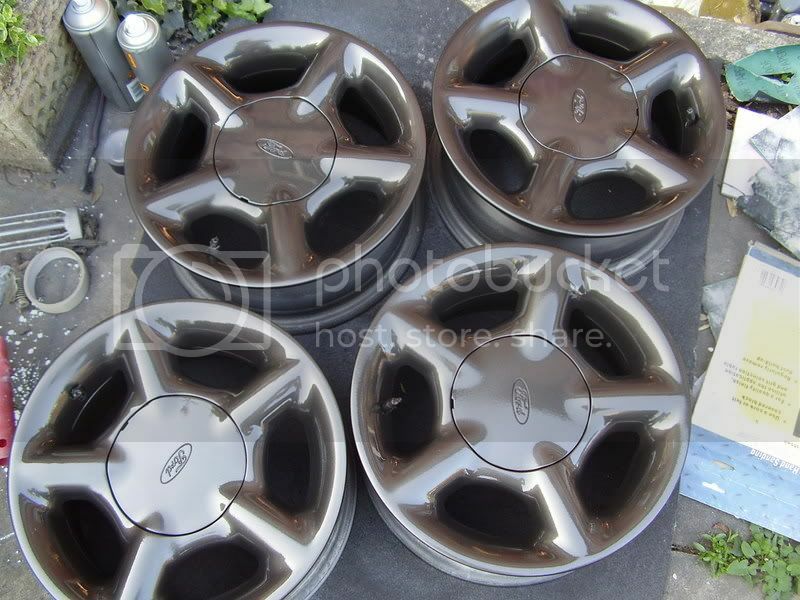 Its the 14's off the saxo I am after getting done, as it is a have 4 new tyres anyway so the cost of swapping all 4 will happen anyway. Will get on the search for where will do them cheaply, may end up travel to near pauls at that price. 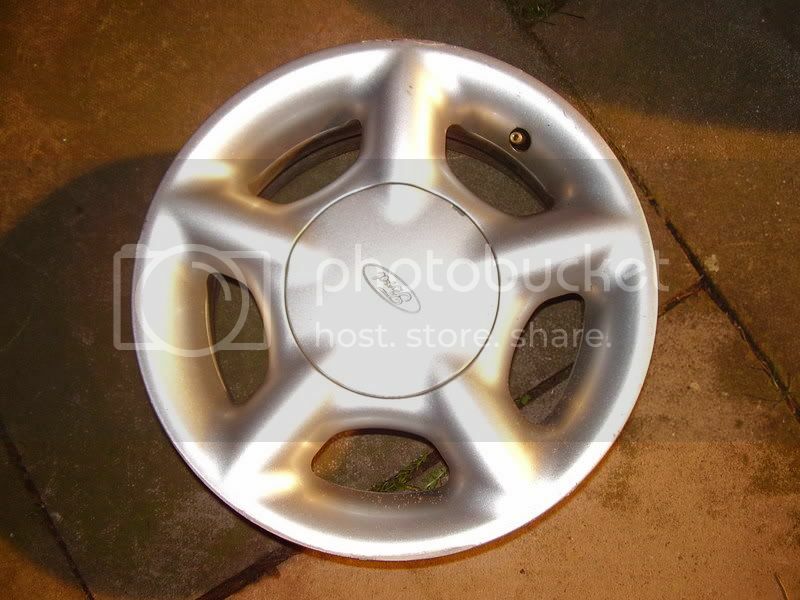 Hang about Andy, Now I think of it, I'm getting my wheels refurbished by a friend of the bodyshop guy I know on the side who's sorting out my couple of bit - £20 a wheel for powder coating I've been quoted on 15". I'm getting them done mid May, so if you have the time to wait and see quality I get? To be honest I am not too worried about quality as long as it works, any discount for doing 8 wheels at once? could this be done with the tyres still on?